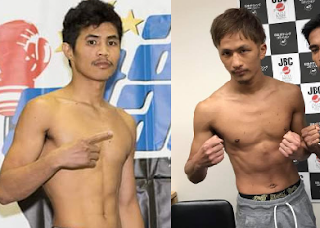 Joebert Alvarez is scheduled to face the OPBF Flyweight Champion Keisuke Nakayama of Japan on September 13, 2017, at Korakuen Hall Tokyo Japan. Alvarez is 27 years old boxer from Sultan Kudarat, Philippines. He has a record of 17W(7KO)-2L-1D. Alvarez who had been in tough lost to Miguel Cartegena last year wants to continue, to dominate and to comeback as a contender. Alvarez lost only on two big fights against Cartegena and Juan Francisco Estrada but won his last 2 fights via unanimous decision. Meanwhile, Keisuke Nakayama is 1a 29 years old Japanese boxer with a record of 10W(4KO)-2L-1D. Keisuke Nakayama got his OPBF Flyweight Title after defeating the tough Filipino boxer Richard Claveras via Split decision last June 2017. Nakayama vs Alvarez will be held at Korakuen Hall, Tokyo Japan.